The Kirkcaldy Combination was formed in around 1848 and comprised the 4 parishes of Abbotshall, Burntisland, Kinghorn and Kirkcaldy. The total population of the member parishes in 1881 was 23,434. Abbotshall later left the Combination. 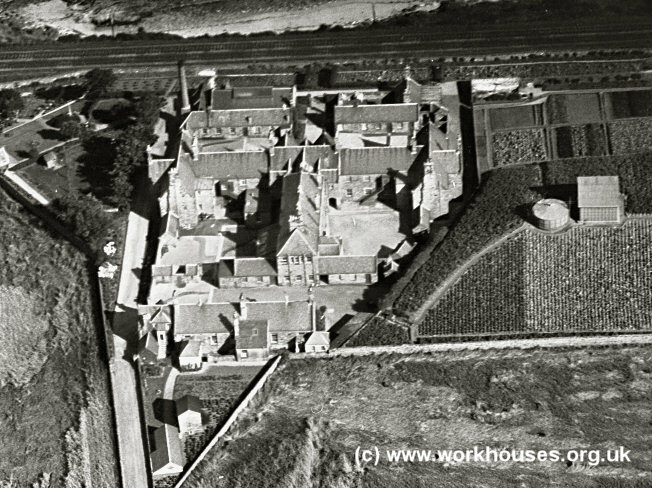 Aerial view of Kirkcaldy poorhouse from the west, 1920s. The poorhouse originally had two single-storey blocks flanking its entrance at the east. One of these were probably a porter's lodge. The other may have contained a rooms for the receiving-officer and/or a probationary ward. The main building had two storeys with a T-shaped layout. The centre part contained the Governor's quarters with male accommodation to one side and female to the other. Each side had three dayrooms and a dormitory on the ground floor, and dormitories on the first floor. Kirkcaldy from the south-east, 2001. The rear centre wing may have housed the kitchens and dining-hall which in many poorhouses also served as a chapel. Kirkcaldy from the north-west, 2001. A small separate hospital block was later added to the rear of the site. It had two wards, one with 8 beds, the other with 10. Kirkcaldy hospital block from the north-east, 2001. After 1930, the poorhouse became the Abden Home Poor Law Institution. The surviving poorhouse buildings have now been converted for use as housing. Fife Council Archive Centre, Carleton House The Haig Business Park, Balgonie Road, Markinch, Glenrothes KY7 6AQ. Holdings: Management Committee minute book (1917-28). 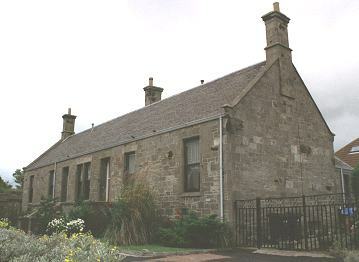 Kirkcaldy Museum & Art Gallery, Abbotshall Road, Kirkcaldy KY1 1YG . Holdings: Poorhouse Management Committee minute book (1848-82); Furnishing and household accounts (1850-59); Medical register (1883-91); Letter book (1892-95); Register of inmates (1906-45); Poorhouse Diet book (1921-2). Other Sources: From 1866 patient case books for Fife and Kinross District asylum (later Stratheden Hospital) include patients transferred from the lunatic wards of poorhouses.